The Doric Order – 6th Century B.C. The Doric Order takes its name from its Poliponnesian origins and many of the most important Greek buildings were built in this first order. Where did the Doric Order Originate? 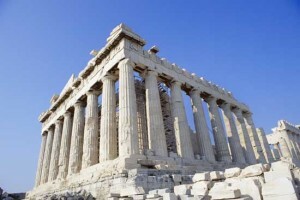 Greek architecture is particularly important for the whole history of Western architecture. 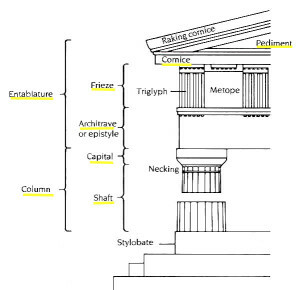 The Doric order was coded in the 6th century B.C, in the treatise in ten books De architectura of Vitruvius, and it represents the first and the oldest of the Greek architectural orders. Who was Vitruvius? Why Was HE So Important? Vitruvius was an ancient Greek or Roman architecture writer and his works survived the Middle Ages. 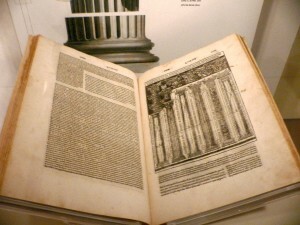 His handbook for Roman architects, De architectura, was rediscovered in the 15th century and, in the meantime, he was hailed as the classical architecture authority. His writings inspired architects of the Renaissance and Baroque periods: they developed an aesthetic canon that established rules for superposing the classical orders. The coding orders was deeply defined defined by Vignola in his famous Rule of Five Orders of Architecture. The Doric order was born in Peloponnese (from which it took the name) and it developed inland greek and in the Greek colonies in Italy. All surviving temples of Ancient Greece and some of the most important contemporary Greek buildings are built in this order, including the Parthenon on the Athens Acropolis and the Temple of Zeus at Olympia. 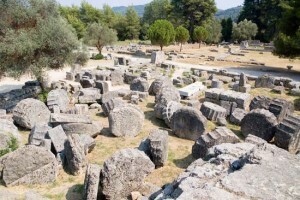 Tempio di Zeus – Olimpia, Greece, 470-456 a.C. The Doric order has a solemn and solid appearance . Euthynteria: the platform of the temple, laid on the foundation. Crepidoma: a platform on the basis of the temple, formed by steps leading to the temple. Originally they were three, then increased over the time. – The echino, with a truncated cone shape. – The abacus, a simple marble slab. triglyphs ( rectangles vertically furrowed by three channels). The Doric Style inspired lots of projects architects over the centuries. Palazzo Te, a monumental building in Mantova is a good example. It was built in 1524 by Federico II Gonzaga Commission and its architect was Julio Roman. – in the external facades, with smooth pilasters (pillars embedded in a wall). – the inner courtyard is also a Doric order and there are marble columns, left almost raw and surmounted by a mighty Doric entablature.